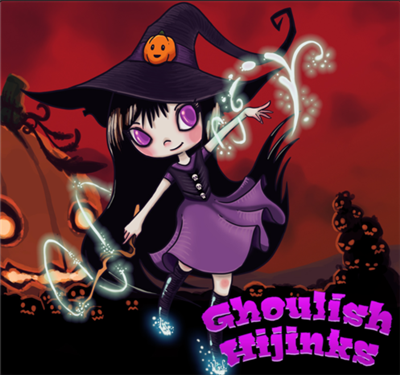 Ghoulish Hijinks (27.5mb, no install .zip) is a nice arcade platformer. 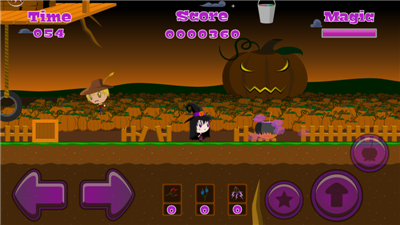 You play the role of a little witch who has to collect ingredients to make different potions and ultimately earning game points. Use the "arrow keys" to run. Press "s" to jump and "w" to load the magical protection which can defeat enemies. Click "d" while standing near the potion pot to put the ingredients into it. 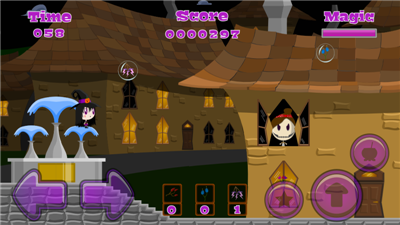 Our goal in this game is to collect as many ingredients in the given time to get a better score and unlock new levels. 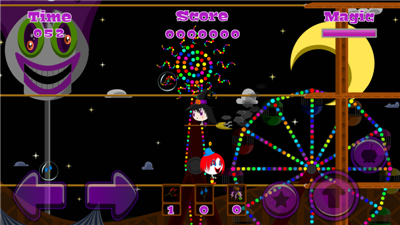 With it's colourful graphics, simple gameplay and catchy music, you'll surely get hooked on this freeware game.